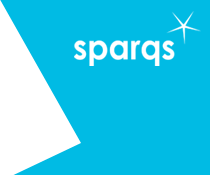 sparqs is a charity working with Scotland's university and college sectors which aims to support students in having a say in how their student experience is shaped and delivered. The role of students in enhancing the quality of their learning is vital to our approaches in Scotland. sparqs has played a pivotal role for over ten years in supporting partnership practices which have helped students and staff to work together to deliver real educational enhancements. We promote a working environment that provides equality of opportunity and principled cultural values.